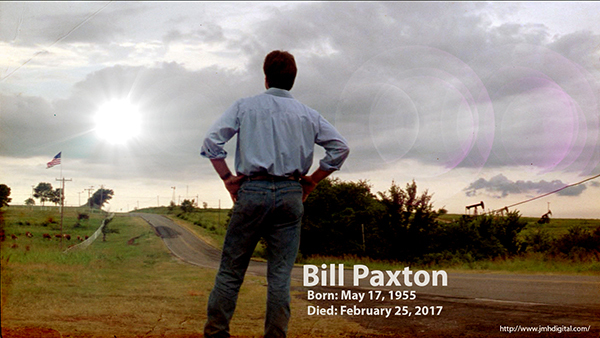 Just Going to Leave This Here... Bill Paxton, Rest in Peace! 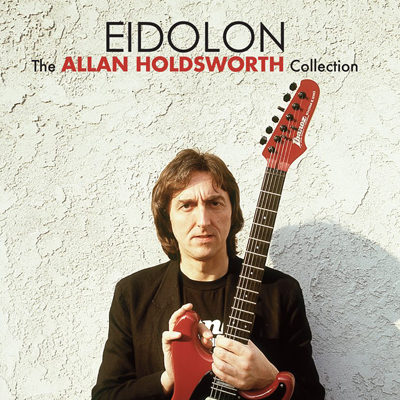 Guitar Legend Allan Holdsworth 12 CD Box Set Collection and Accompanying Double CD Collection, THE MAN WHO CHANGED GUITAR FOREVER Box Set, EIDOLON-a 2-CD Best Of... Manifesto Records on April 7th. Los Angeles, CA-based Manifesto Records will release a new, complete 12-CD box set by guitar innovator, jazz, and progressive rock legend Allan Holdsworth titled The Man Who Changed Guitar Forever, along with a 2-CD updated and expanded “best of” collection selected by the artist, titled Eidolon. 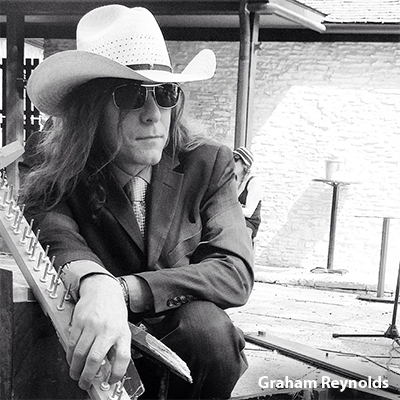 Austin premiere of his experimental chamber opera PANCHO VILLA FROM A SAFE DISTANCE at FUSEBOX FESTIVAL, composer / bandleader / improviser GRAHAM REYNOLDS will release a dozen digital only albums on February 17th, 2017 via the prestigious INNOVA RECORDINGS label. Physical copies including a box set will be available for sale at upcoming shows and events. The collection includes re-mastered versions of Golden Arm Trio classics including the very early DEMO TAPE, the self-titled THE GOLDEN ARM TRIO, plus WHY THE SEA IS SALT and THE TICK-TOCK CLUB; soundtracks for the films SHEPARD & DARK, 5 TIME CHAMPION and INCENDIARY; scores for collaborations with Ballet Austin including BELLE REDUX, THOUGH THE EARTH GIVES WAY, CULT OF COLOR, and TWO BALLETS, plus the experimental onslaught of FUN WITH SOUNDS & PATTERNS. Bonus material and additional delights are scattered throughout the series that explores the broad and diverse palette of his career. The infamous and clandestine DJ BUZZY BEAR has created a MIX-TAPE RETROSPECTIVE of the 12-Pack. Dubbed “the quintessential modern composer” by the London Independent, Reynolds creates, performs, and records music for film, theater, dance, rock clubs and concert halls, and has collaborated with esteemed director Richard Linklater on the majority of his films over the last ten plus years. He recently scored HBO’s “The Diplomat”, “Before Midnight” with Ethan Hawke and Julie Delpy, “Bernie” featuring Jack Black, the Rooster Teeth TV series “Day 5”, amongst many others. His score to the Robert Downey, Jr. feature "A Scanner Darkly" was named ‘Best Soundtrack of the Decade’ by Cinema Retro magazine, and he recently received the prestigious Creative Capital Award for his chamber opera, “Pancho Villa from a Safe Distance”. Sumthing Else Music Works, the premier record label dedicated to releasing video game soundtracks, today announced that the official soundtrack for Resident Evil® 7 biohazard is now available digitally from Amazon, iTunes, Sumthing.com, and other music services. 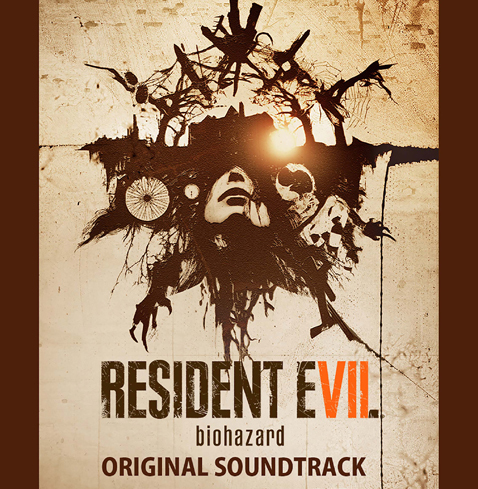 The Resident Evil 7 biohazard Original Soundtrack features two and a half hours of original music from the latest major entry in the renowned Resident Evil® series. Set in modern day rural America and taking place after the dramatic events of Resident Evil® 6, players experience the terror directly from the first person perspective. Resident Evil 7 embodies the series' signature gameplay elements of exploration and tense atmosphere that first coined "survival horror" some twenty years ago. Featuring haunting acoustic explorations and dark aleatoric soundscapes, the Resident Evil® 7 score was created by Capcom composers Akiyuki Morimoto, Miwako Chinone and Satoshi Hori as well as music from US composers Cris Velasco, Brian D'Oliviera and Michael A. Levine. Music samples are available at Sumthing.com. Resident Evil 7 sets a new course for the Resident Evil series as it leverages its roots and opens the door to a truly terrifying horror experience. A dramatic new shift for the series to first person view in a photorealistic style powered by Capcom's new RE Engine, Resident Evil 7 delivers an unprecedented level of immersion that brings the thrilling horror up close and personal. For more information on Resident Evil 7 biohazard, visit www.capcom-unity.com. Sumthing Else Music Works, the premier record label dedicated to licensing and distributing video game soundtracks, today released the official soundtrack for "Halo Wars 2" on CD. The album will be available for digital download and via streaming services including Amazon, iTunes and Sumthing.com on February 21. 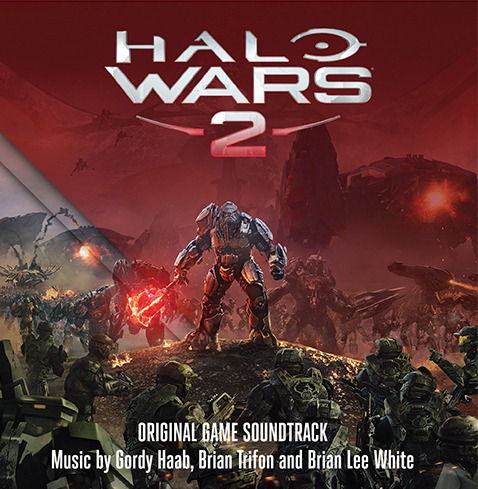 The soundtrack features more than two hours of original music by composing team Gordy Haab, Brian Trifon and Brian Lee White, and builds on the legendary legacy of Halo music by Martin O'Donnell, Michael Salvatori and other great composers. The score was recorded at the iconic 20th Century Fox Studios. Music samples and track listing available at https://www.sumthing.com/p/halo-wars-2/. For more information on "Halo Wars 2," visit http://www.xbox.com/en-US/games/halo-wars-2. Sumthing Else Music Works, the premier record label dedicated to licensing and distributing video game soundtracks, announces the CD release of the original soundtrack to Ubisoft's open world extreme sports game, Steep™. 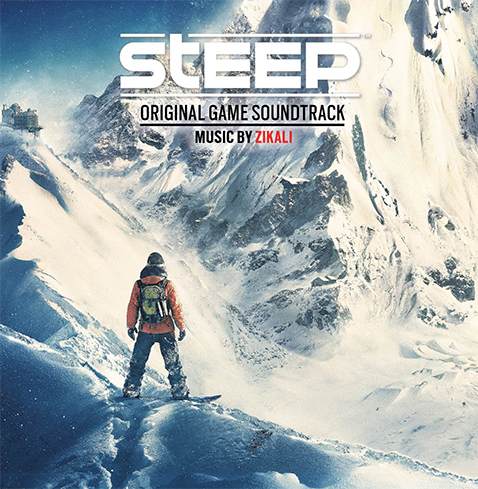 Featuring the game's post-rock instrumental score composed by Zikali, a European collective of music composition and sound design artists, the STEEP Original Soundtrack will be released on CD in stores and available for digital download from http://www.sumthing.com on February 17. "The musical artistic direction consists of the encounter between a post-rock formation (drums, bass, guitars, synths), to which is added an orchestral dimension (strings, brass) and a set of original instruments (hang drum, duduk) that define the sound identity of the project. The energy of the rider is represented by a modern and electric sound associated with the action; And the orchestra characterizes the different places (summits, narrow corridor or wide spaces) by the variety of its modes of play, bringing a strong emotional dimension." In Steep, players drop in to the Alps and ski, snowboard, wingsuit and paraglide through the game's massive open world playground, filled with exhilarating challenges and breathtaking views. Developed by Ubisoft Annecy, Steep is designed for a culture that's all about sharing experiences with the world. Steep features seamless multiplayer, populating the world with players as they naturally explore the Alps. Players and friends across the globe can take on challenges together or compete with each other to snag the top spot on the leaderboards. In addition to the Alps, Alaska will be available as a free game update on February 24th. Steep is currently available worldwide for current gen consoles and Windows PC. For more information on the game visit www.steepgame.com and follow us on http://www.facebook.com/steepgame or http://www.twitter.com/Steep_Game. Sumthing Else Music Works, the premier record label dedicated to licensing and distributing video game soundtracks, proudly presents the CD release of the official soundtrack for Tom Clancy's Rainbow Six Siege, the latest installment in Ubisoft's tactical first-person shooter franchise. 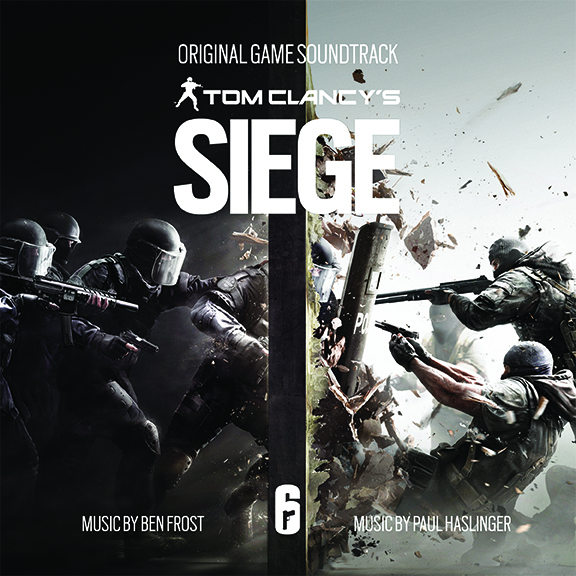 Featuring the game's original score composed by Ben Frost and Paul Haslinger, the Siege soundtrack will be released on CD in stores and available for digital download from http://www.sumthing.com on February 17. Developed by Ubisoft Montreal, Tom Clancy's Rainbow Six Siege is inspired by real world counter-terrorist organizations, and puts players in the middle of lethal close-quarters confrontations. For the first time in a Tom Clancy's Rainbow Six® game, players engage in sieges, a new style of assault where enemies have the means to transform their environments into modern strongholds while Rainbow Six teams lead the assault to breach the enemy's position. Tom Clancy's Rainbow Six Siege gives players unprecedented control over their ability to fortify their position - by reinforcing walls and floors, using barbed wire, deployable shields and mines, and more - or breach the enemies using observation drones, sheet charges, rappelling, and more. The fast pace, lethality and uniqueness of each siege sets a new bar for intense firefights, strategic gameplay and competitive gaming. Tom Clancy's Rainbow Six Siege is currently available worldwide for consoles and Windows PC. More information about Tom Clancy's Rainbow Six Siege is available on www.rainbow6.com.